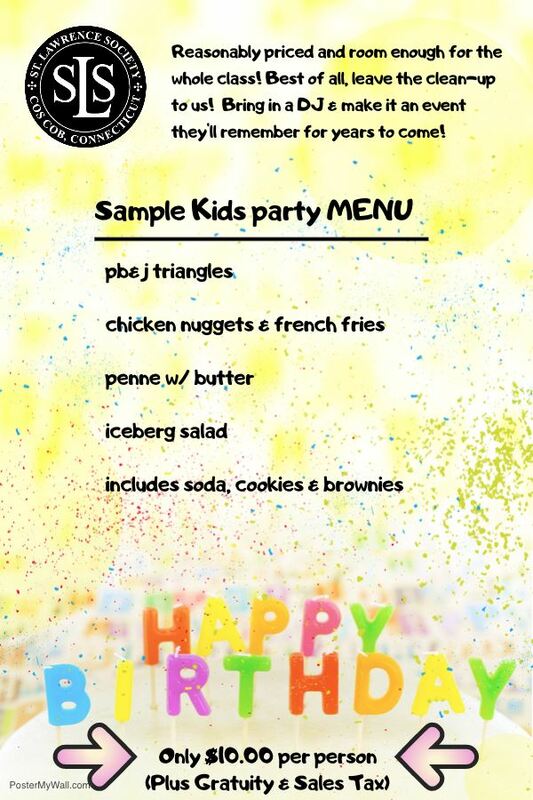 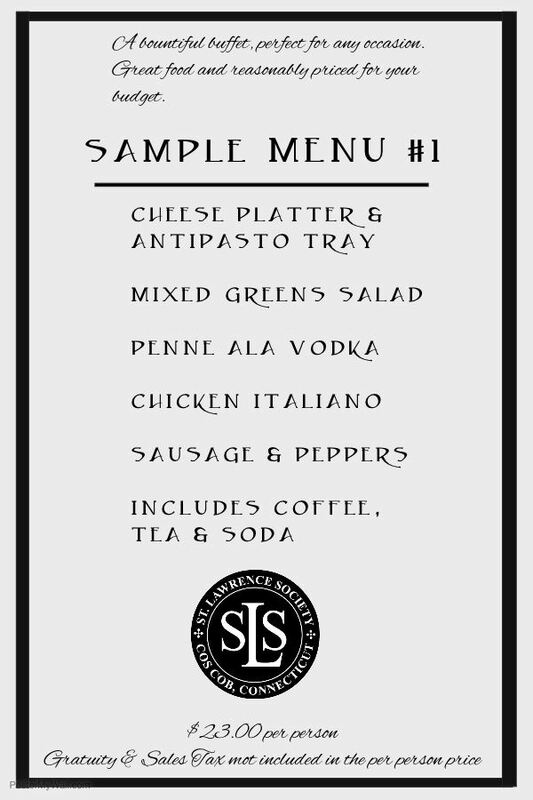 Our Menus are completely customizeable! 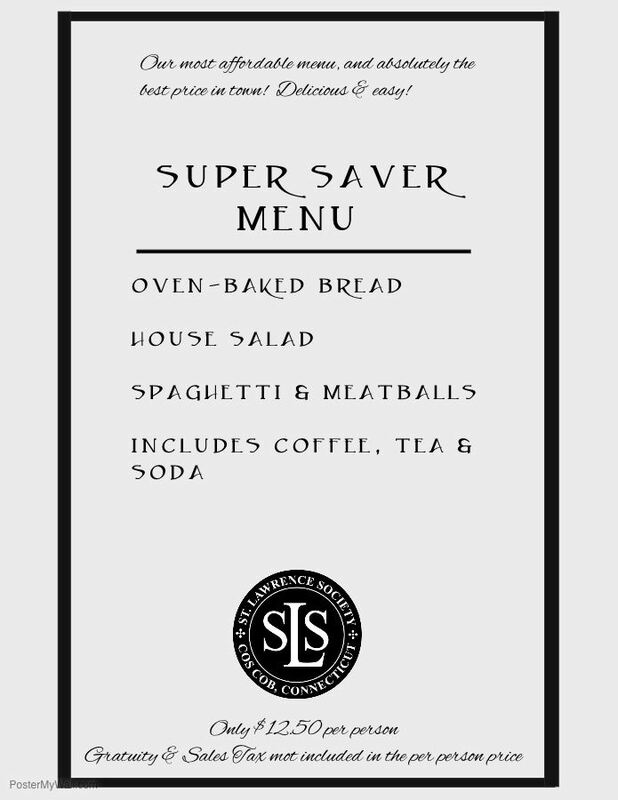 We will work with you to create the perfect meal that fits your budget! 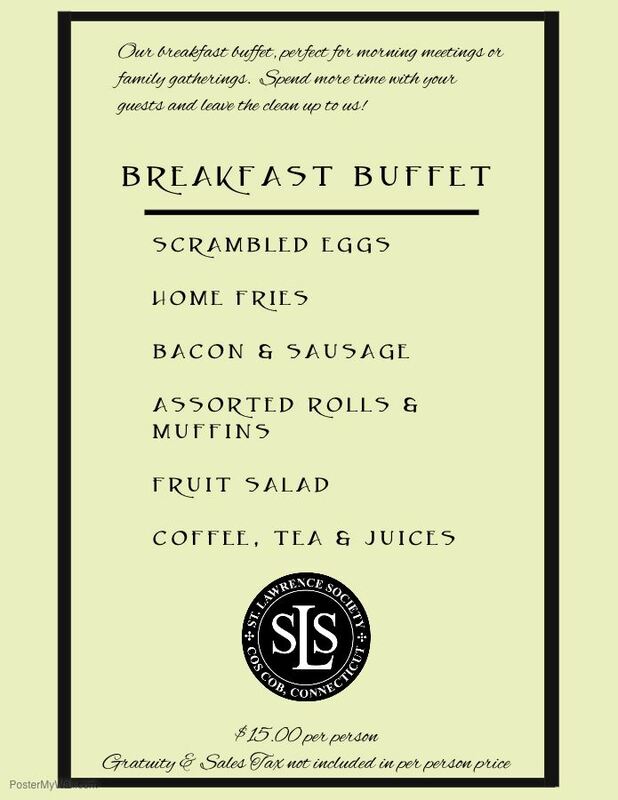 You decide -- a buffet or served meal! 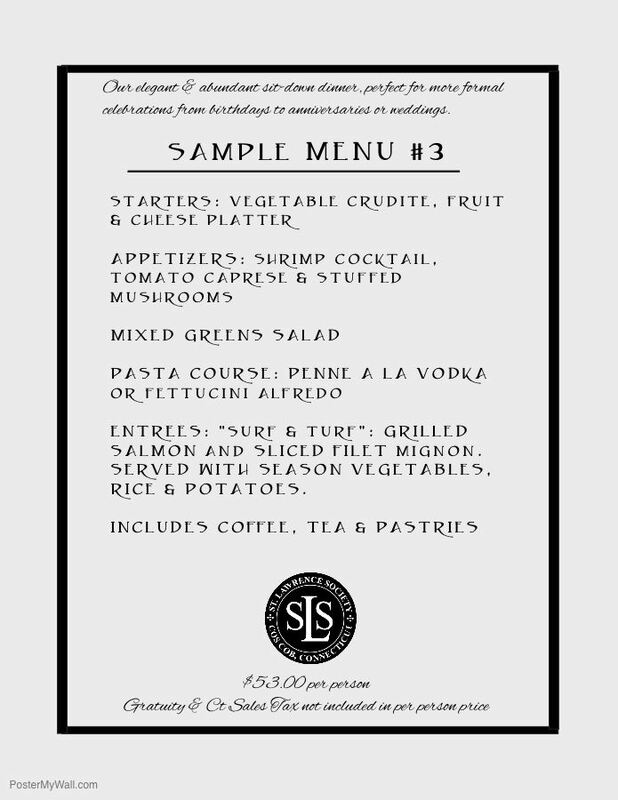 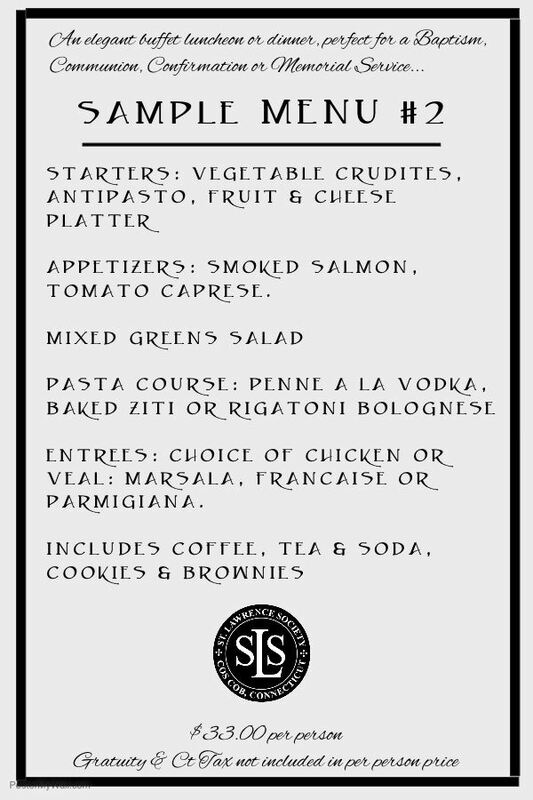 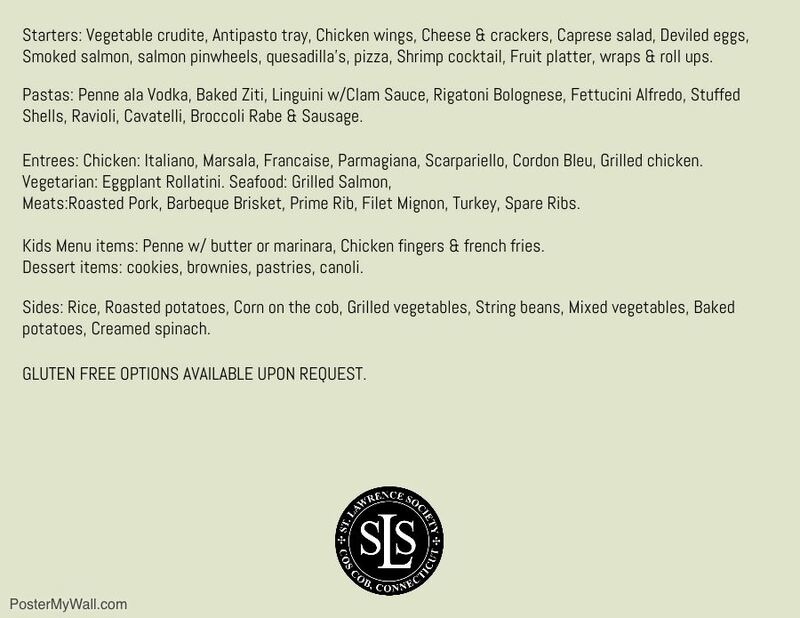 You can follow one of our Sample Menus below, OR select your own appetizers & entrees from the lists below!